Before turning his mind to creativity, psychologist Mihaly Csikszentmihalyi wrote the celebrated book Flow. The insight of Flow was that it is a mistake to pursue happiness itself. Rather, we should recognize when we are genuinely happy – what we are doing when we feel powerful and 'true', and do more of those things. Flow activities we do for the sheer enjoyment or intellectual satisfaction, rather than some extrinsic reward to be gained. You might want to win a game of chess, for instance, but you play it because it engages your mind totally. You might want to become a good dancer, but it is the learning and dancing itself that is the main reward. Csikszentmihalyi took these ideas and applied them to the question of how some people become genuinely creative. He was not interested in what he calls the ‘small c’ creativity involved in the making of a nice cake or the choosing of curtains or the imaginative talk of a child - but that which changes a whole ‘domain’, or area of human endeavor. Truly creative people have a capacity to change the fundamental way we see, understand, appreciate or do things, whether it is by the invention of a new machine or the writing of a set of songs, and the author wanted to know what made them different. Creativity: The Psychology of Discovery and Invention was the culmination of 30 years of work into creativity. There is a small industry of how-to-be-more-creative books and seminars, and many are glib, but this is one of the few serious treatments that understands the complexity of the creative person and process. 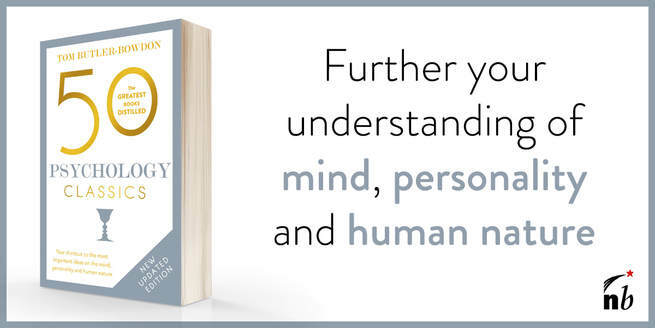 At the beginning of the book, Csikszentmihalyi provides information on what he claims was the first systematic study of living creative people, involving interviews with 91 people considered to have had an outstanding impact on their domains - whether from the arts, business, law, government, medicine or science (the scientists included 14 Nobel Prize winners). Names include Mortimer J Adler, philosopher; John Bardeen, physicist; Kenneth Boulding, economist; Margaret Butler, mathematician; Subrahmanyan Chandrasekhar, astrophysicist; Barry Commoner, biologist; Natalie Davis, historian; Gyorgy Faludy, poet; Nadine Gordimer, writer; Stephen Jay Gould, paleontologist; Hazel Henderson, economist; Ellen Lanyon, artist; Ernst Mayr, zoologist; Brenda Milner, psychologist; Ilya Prigogine, chemist; John Reed, banker; Jonas Salk, biologist; Ravi Shankar, musician; Benjamin Spock, paediatrician; and Eva Zeisel, ceramic designer. Reading about these people, some who are outright famous and others known mainly in their fields, is alone worth getting the book for. Nearly all the subjects were over 60, allowing Csikszentmihalyi a better chance to survey fully developed careers and elicit insights into the secrets of mature creative success. The author suggests that the common idea of a creative individual coming up with great insights, discoveries, works or inventions in isolation is wrong. Creativity results from a complex interaction between a person and their environment or culture, and also depends upon timing. For instance, if the great Renaissance artists like Ghiberti or Michelangelo had been born only 50 years before they were, there would not have been the culture of artistic patronage in place to fund or shape their great achievements. Consider also the discoveries of individual astronomers: their discoveries could not have happened unless there had been centuries of technological development of the telescope and evolving knowledge of the universe coming before them. Csikszentmihalyi’s point is that we should devote as much attention to the development of a domain as we do the people working within it, as only this can properly explain how advances are made. Individuals are only ‘a link in a chain, a phase in a process’, he notes. Did Einstein really ‘invent’ the theory of relativity? Did Edison ‘invent’ electricity? This is like saying that the spark is responsible for the fire, when of course fire involves many elements. The products of creativity also need to have a receptive audience that can evaluate them. A creation vanishes if it is not recognized. ‘Memes’ are the cultural equivalent of genes, things such as language, customs, laws, songs, theories and values. If strong, they survive, otherwise they are lost. Creative people seek to create memes that can have an impact on their cultures. The greater the creator, the longer lasting and deeper the impact of the memes. Creative breakthroughs never just come out of the blue. They are almost always the result of years of hard work and close attention to something. Many creative discoveries are lucky, particularly of the scientific type, but usually the ‘luck’ comes after years of detailed work in the area in which the discovery is made. Csikszentmihalyi tells of the astronomer Vera Rubin, who discovered that stars in some galaxies do not all rotate in the same direction – some go clockwise, and others anti-clockwise. She would not have made the discovery if she had not had access to a new type of clearer spectral analysis, and this access came from her already being known for her substantial contributions to the field. The author’s other point is that Rubin was not out to make a big discovery, rather, it was the result of close observation of stars and a love of her work. Her goal was recording data, but it was her dedication that yielded the surprise findings. Truly creative people work for its own sake, and if they make a public discovery or become famous, that is a bonus. What drives them, more than ‘rewards’, is the desire to find or create order where there was none before. A popular image of the creative person is their defiance of all norms, dogma and customs. This, however, gives the wrong impression, as all people who create genuine change have needed to first master the domain they were working in, which means soaking up and mastering its skills and knowledge. It is only later, having mastered their domain, that a person can truly make a creative mark, as the incorporation of its ‘rules’ allows them to bend or break them to create something new. To become a truly original thinker, you need, as the inventor Jacob Rabinow puts it, a ‘huge database’ of information. Only with this basic structure of knowledge can you move more adroitly into new intellectual territories or draw novel connections between previously unconnected areas. In short, to do new things, you first have to have done the old things well. The idea of the tortured creative person is largely a myth. Most of the respondents were very happy with their lives and their creative output. Successful creative people tend to have two things in abundance: curiosity; and drive.They are absolutely fascinated by their subject, and while others may be more brilliant, their sheer desire for accomplishment is the decisive factor. Creative people take their intuition seriously, looking for patterns where others see confusion, and are able to make connections between discrete areas of knowledge. The creative are often seen as arrogant, but this is usually because they wish to devote most of their attention to their exciting work. Though creative people can be creative anywhere, they gravitate to centers where their interests can be satisfied more easily, where they can meet like minded people, and where their work can be appreciated. Beautiful or inspiring environments are better at helping people to be more creative thinkers than giving them a seminar on the subject. School does not seem to have had a great effect on many famous creative people, and even in college they were often not stars. Many people later considered geniuses were not particularly remarkable as children; what they always had more than others was curiosity. Many creative achievers were either orphaned or had little contact with their father. On the other hand, they frequently had very involved, loving mothers who expected a lot from them. Most fell into one of two family categories: they were poor or disadvantaged, but the parents nevertheless pushed them to educational or career attainment; or, they grew up into families of intellectuals, researchers, professionals, writers, musicians etc. Only ten per cent were from the middle class. The lesson: to be a powerfully creative adult, it is best to be brought up in a family that values intellectual endeavor, not one that celebrates middle-class comfort. The creative are both humble and proud, with a selfless devotion to their domain and what might be achieved, yet also confidence that they have much to contribute and will make their mark. It is a myth that there is one ‘creative personality’, however something all creative people seen to share is complexity - they ‘tend to bring the entire range of human possibilities within themselves’. In Jungian terms, they ‘own their shadow’, not repressing any dark side, yet on the other hand do not hold back in their self-expression. Csikszentmihalyi says it would be too easy to see creative people as a privileged elite. Rather, their lives are a message that we should all be able to find work that is fulfilling and that we love. As he notes, most of the people in the study did not come from privileged backgrounds but had to struggle to do what they wanted to do in the face of economic or familiar pressures. Some of the respondents felt that their greatest achievement, in fact, was having created their own lives or careers without recourse to social expectation. Why should we really care about creativity? Csikszentmihalyi’s work on the flow experience found that it occurs most readily when people are engaged in ‘designing or discovering something new’. We are happiest when we are being creative because we lose our sense of self and get the feeling we are part of something greater. We are actually programmed to get satisfaction and pleasure from discovery and creativity, the author says, because its results lead to our survival as a species. New ideas are needed more than ever if the planet is going to survive, and the best ones are likely to come from the genuinely creative people. Born 1934 in Fiume on the Adriatic, Csikszentmihalyi's father was the Hungarian consul of what was then an Italian city. The family name means 'Saint Michael from the province of Csik', Csik being originally a Hungarian province. The author spent his adolescence in Rome, helping to run the family restaurant while receiving a classical gymnasium education. After graduating he worked as a photographer and travel agent. He enrolled at the University of Chicago in 1958, where he received his BA and PhD. Though he was more interested in the ideas of Carl Jung, he was required to study behaviorist psychology, and only later during his years as a professor at Chicago was he able to develop his theories on flow, creativity and the self. Since 1999 Csikszentmihalyi has been a professor at Claremont Graduate University in California, where his Quality of Life Research Center explores aspects of positive psychology. Other books include Beyond Boredom and Anxiety (1975), The Evolving Self: A Psychology for the Third Millennium (1993), Finding Flow: The Psychology of Engagement With Everyday Life (1997), and with Howard Gardner and William Damon Good Business: Leadership, Flow, and the Making of Meaning (2002).